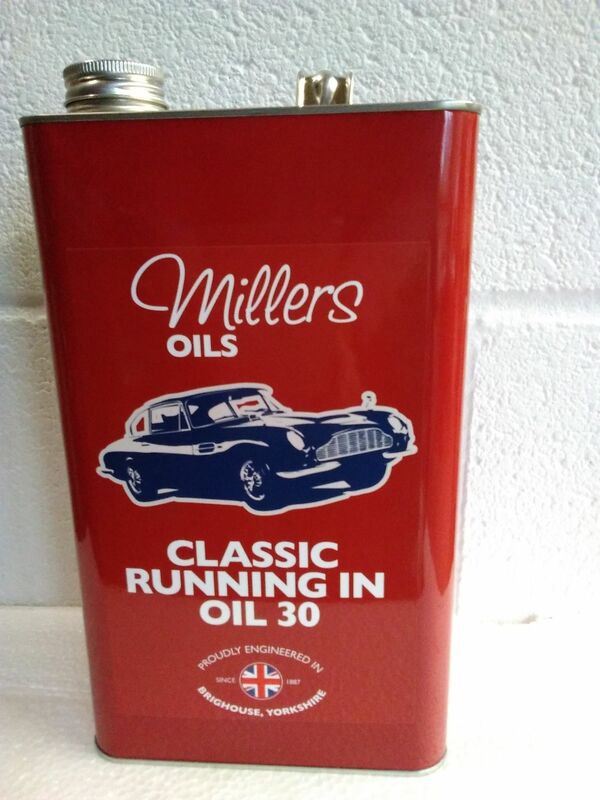 Millers Oils Classic Running In Oil is a fast selling oil designed to be used in freshly rebuilt engines which need running in in order to aid the bedding in of new pistons and piston rings. Modern oils contain too many anti wear additives to be of any beneficial use in this process. We use hundreds of litres of running in oil in the engines we have rebuilt in the workshop. It helps with the bedding in of the piston rings and aids the running in process. Our customers benefit in the long run from an initial running in using running in oil in reconditioned classic petrol and diesel engines.